~What do we share? ~How do we share the planet? ~With who/what do we share? ~Why do/should we share? 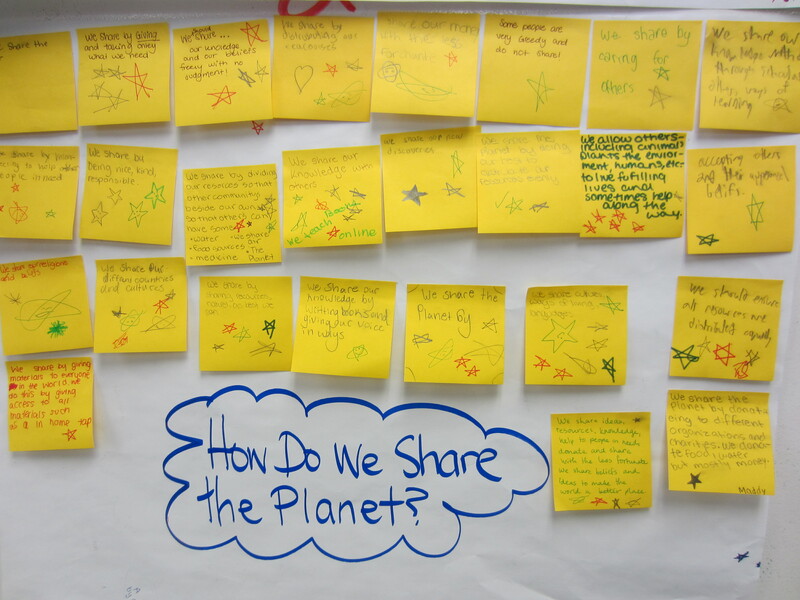 Students engaged in round robin brainstorming using charts and stickies to begin framing their thinking into the Sharing the planet theme. 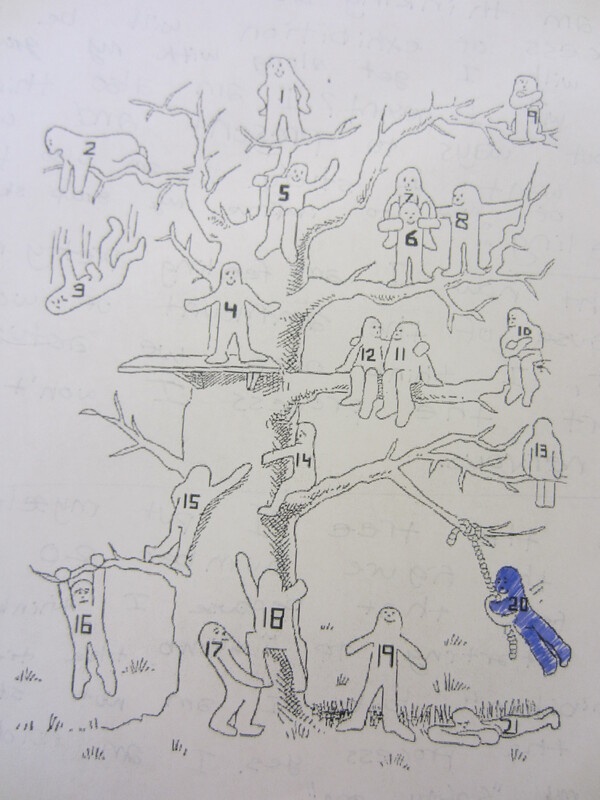 As they travelled from chart to chart, they began to make connections across the different aspects of the theme. This led to a powerful and spontaneous discussion about “what if we don’t share?” Already, they were beginning to see that issues often arise from what ifs. What if we don’t share natural resources? This can lead to conflict or scarcity. What if we don’t share our emotions? This can lead to depression, misunderstanding, and even bullying. What if people don’t have access to clean water? This might lead to health problems, or girls might not get to go to school because they have to walk to get water instead. What if, what if, what if? = Issues, issues, issues. Getting 10-12 year old students to think beyond topics or concepts and into the deeper, more complex issues that relate to them can be a challenge at the start of the exhibition process. Providing time early in the process to explore not just the range of issues within a theme or themes, but how concepts and topics can become issues is essential to creating a purposeful context for the research process. After sharing our Student Guide to the Exhibition, students also had the opportunity to ask questions relating to the exhibition process, and ask they did. More what ifs! What if I don’t get along with my group members? What if I miss a deadline? What if I don’t have any ideas? How will the mentors support us? How are we assessed? Do we get marked on exhibition day? How much time will we have for research? What if I am scared? 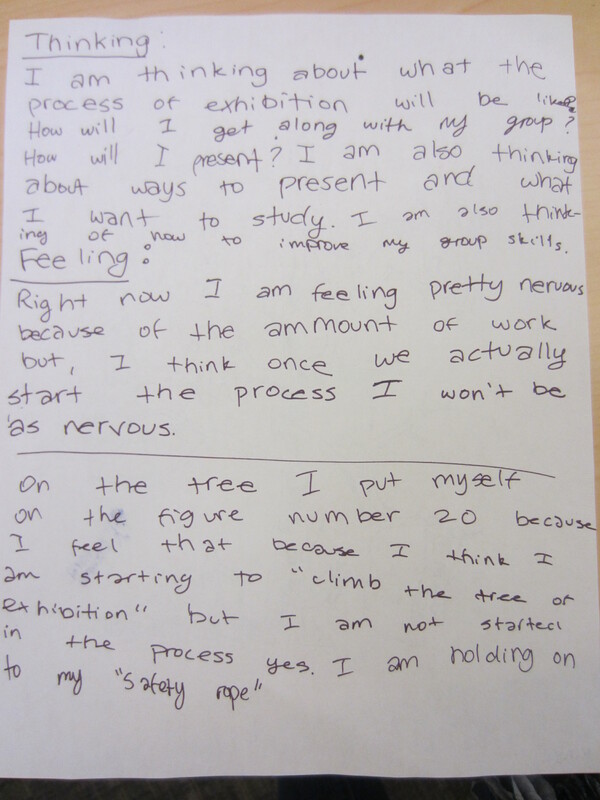 At the end of the week, students completed a reflection to indicate what they thinking and feeling about the exhibition. Taking the time to pause at this point was essential to see what impact our initial conversations had on their thinking, understanding AND feelings. Even though most of the students attended the previous year’s exhibition as Grade 5s, they still felt a lot of fear about the process and Exhibition day itself. Back to those what ifs again! In sharing aspects of their reflections with each other, students understood that they were not alone in their thinking and feelings. They were already constructing shared meaning and creating a safety in listening to and supporting each other. In one conversation a student asked, “What if we fail?” That lead to an analogy about safety nets – Me: “When someone falls and there are safety nets in place, what happens?” Student: “Well, the net catches you and you bounce back up to try again.” Me: “Exactly!” The moral of the story: lean INTO your fear – you will be surprised what you learn and discover! So much of the inquiry process is about facing our fears through experience; taking our inexperience and turning it into INexperience through constructing meaning collaboratively. Here we go – off an running! One week down, 6 to go!